An enhanced Super-Snap disk that provides extra thickness and a three dimensional semispherical coating that results in an extreme glossy finish with low surface roughness. Extra thick to increase stiffness, tactile feel and durability while also maintaining flexibility in interproximal areas. These disposable, double-sided disks are available in two sizes (8mm and 12mm) and can be used in conjunction with other Super-Snap refill disks. 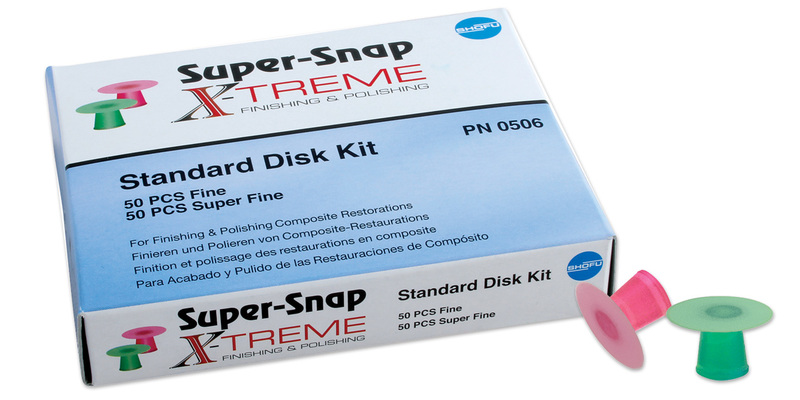 Contains: 100 double-sided disks (50 green-fine, 50 red-superfine).